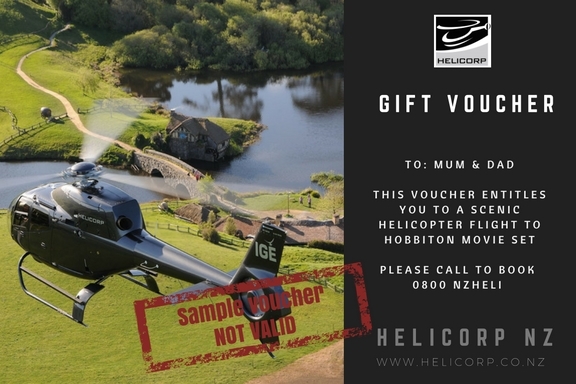 Treat a loved one to a special helicopter flight that they’ll remember forever! 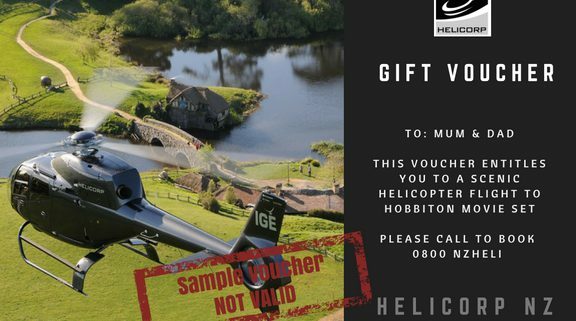 A Helicorp voucher makes the perfect gift for many occasions; Christmas, birthday, anniversary, or when you just want to treat that someone special in your life. 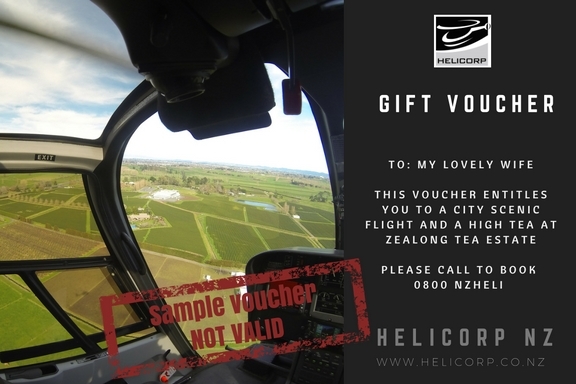 Gift vouchers can be made out for specific scenic flight packages, or if you’re not sure what they’d like the most, you can specify a monetary amount so the recipient can choose where they wish to go on their Helicorp NZ experience. 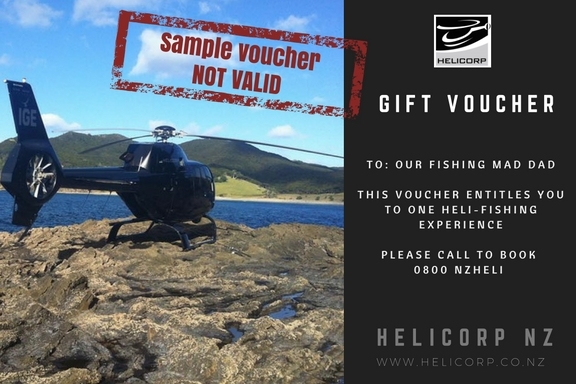 Contact our team now to discuss options or order your personalised voucher. Want to treat your best clients or business team this Christmas? Taking a business trip to Fieldays?